Huawei became one of the companies that took the spotlights of Mobile World Congress of this year at Barcelona. They took themselves to the limelight by announcing three wearable devices – TalkBand N1 fitness tracker earbuds, TalkBand B2 successor and Huawei Watch. When the consumers worldwide are eager to hear about the company’s Ascend P8, which is expected to launch in April; the company really wants them to forget. That’s became the real reason behind the launch of its new range of smartphones naming them as Y635 and Y630 budget smartphones. The new model will help the company to get placed among the budget phones available in the market such as Moto E, Moto G and Lumia 535. The new handset has nothing in special when compared to its other smartphones. The only difference is in the placement of physical keys on the left side while traditionally they are used to be placed on the right. The specifications lists of Y635 are so strong that it is expected to give a tough competition to its counterparts. Moreover the phone is available for an affordable price of $160 along with 4G LTE connectivity. No other budget within this price range provides 4G connectivity. 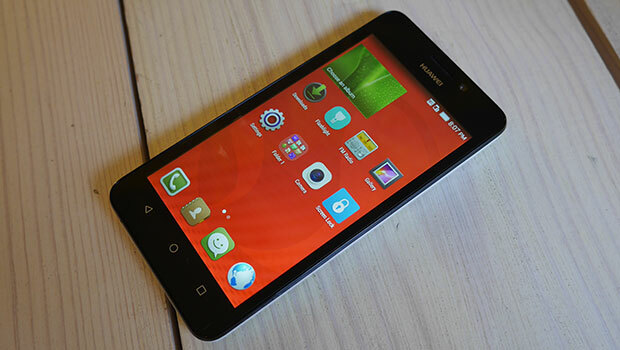 The handset comes out with a screen size of 5 inches capacitive touchscreen. The screen resolution tends out to be 480*854 pixels which is expected to provide a clarity screen display. The phone functions on the 1.2 GHz Quad Core processor coupled with 1 GB RAM for uninterrupted functioning of the handset. The internal storage of the device is 4 GB which is expandable by using microSD card. The 2000 mAh powered battery ensures that the phone functions for longer hours. The customers will love the rear cam with 5 megapixel and front cam with 2 megapixel. The only drawback is that the camera is not supported by LED flash. The operating system is the Android version Lollipop which is Java Supported. There is connectivity via Wi Fi, Bluetooth and GPS. The headsets are supported by 3.5mm jack. The phone features itself with micro USB connectivity. The handset supports regular sim along with 4G connectivity, which is the primary feature in this class of phones with such a low price. The smartphone is really smart with additional features like Proximity Sensor, Accelerometer, Gyroscope and Ambient light sensor. The features that company provides really make Y635 an exceptionally active choice for those who love budget phones with maximum features. No other phone in this range provides 4G connectivity.